To understand exactly what is meant by the term, it is important to note that ‘loss’ and ‘damage’ should not be conflated with one another. ‘Loss’ refers to negative climate change-induced impacts that are beyond repair and cannot be restored, such as glacial melt leading to a loss of freshwater resources; ‘damage’ indicates repairable impacts that can be restored, such as building damage following a cyclone. L&D also includes negative effects that can be reduced, but not entirely avoided, through adaptation. Essentially, L&D is a ‘post-adaptation problem’, where mitigation and adaptation have not been adequate to avoid negative climate change impacts. The insistence of vulnerable countries on the inclusion of L&D on its own as a ‘red line’ throughout the Paris negotiations reflects realistic forecasts for what they will have to confront as part of an unpredictable future. These concerns were acknowledged by cementing L&D in Art. 8. Another important issue for vulnerable countries was to reinforce and clarify the place of the Warsaw International Mechanism (WIM) within the agreement. In the Paris Agreement, Art. 8 and Art. 48 solidify the continuation of the WIM’s role following its review in 2016. This role was originally set out in its 2014 workplan, which emphasizes the importance of gathering information and developing expertise on issues relevant to L&D—particularly problems such as slow-onset events where not much experience has been developed, and where collaboration and communication among stakeholders will be especially key to developing innovative solutions in future. Thus, the WIM’s role is somewhat limited, stopping short of offering any measures through which to provide concrete support, or any means through which its proposals can be implemented. Prior to the Paris negotiations, this led to calls by some countries to either reenergize the WIM’s mandate by expanding it through increasing support, and including alternative approaches and paradigms, or to replace it with a new mechanism. Neither of these approaches materialized. Instead, as is true for the way L&D was treated in the Paris agreement as a whole, a middle path emerged: a reiteration of the WIM’s initial goals as expressed in its original workplan, while also including elements of what developing countries had requested in their proposal prior to the agreement. Articles 8.3 and 8.5 restate the necessity of cooperation among parties to deal with the effects of L&D, whether among themselves or with other relevant organizations and bodies, whether under the Agreement or outside of it. Art. 8.4 specifies certain areas where coordination will be necessary under the WIM, such as emergency preparedness related to sudden weather disasters, slow onset events, risk management and insurance, and non-economic loss and community resilience. Each of these areas poses challenges, and the WIM’s assistance will be invaluable to vulnerable countries in confronting them. For sudden weather disasters, the agreement lists emergency preparedness and early warning systems as areas of cooperation for Parties. As the WIM’s workplan states, this involves a cooperative assessment of the capacity of risk management systems for emergency preparedness, reducing risks through anticipatory action, and increasing resilience following such disasters during the process of rebuilding and rehabilitation. Countries worldwide have had a good deal of experience in dealing with such disasters, and there are best practices that can be duplicated and implemented where needed. A greater challenge lies in dealing with largely unprecedented issues such as slow-onset events, which is why the WIM’s workplan focuses mainly on sharing knowledge and improving access to information. Another major challenge in assessing the adverse impacts of slow-onset disasters such as extreme drought, sea level rise and glacial melt, or attempting to mitigate them by preparing beforehand, is that they often do not show highly visible impacts but rather produce large, indirect losses with impacts spread out over large areas. Scholars have noted the need to combat slow onset events by convening multilateral funding agencies to develop different, new and innovative financial measures that can help countries deal with L&D. Risk management and assessment plays an important role in L&D, as it does for many other environmental issues, and the workplan stresses the importance of enhancing and developing measures such as insurance, and encouraging institutions to incorporate them as part of development projects and investment criteria. Regional risk management platforms, such as the Caribbean Catastrophe Risk Insurance Facility, have proven to be adept at dealing with L&D-related challenges, since members all regularly face the same form of disaster risk. These regional platforms might pave the way for an eventual ideal solution: an international climate risk insurance facility which would substantially diversify the risk of L&D from extreme weather events, lower the costs of managing risks, and guarantee the delivery of support in a timely and targeted manner once disaster does strike. However, there are multiple drawbacks to the usage of insurance that prevent it from being considered the optimal financial measure for risk management in addressing L&D. For one, as mentioned earlier, the high level of risk for issues such as sea level rise would translate into prohibitively costly premiums for countries that may not be able to afford it, and a regional platform may not be able to avail all the costs. Additionally, insurance is not a solution that can be used for all forms of L&D; its usage is customarily restricted to short-term, high-impact, extreme weather disasters.Slow-onset events, which develop over the long term, present risks that are open-ended and difficulty to quantify, which has not traditionally proven popular with insurers. The same drawbacks also apply to customary financial mechanisms such as catastrophe bonds. As such, alternative financial mechanisms and tools should also be developed under the WIM. In coming years, the role of the WIM will only grow more important, as the world begins to feel the effects of L&D more acutely. The question of whether the WIM itself is going to require further, more fundamental reformation will be up for review in 2016. If past experience indicates anything, it is that the voices of developing countries are being heard more and more, and thus it would not be surprising if their vision for a more involved, hands-on, action-oriented WIM comes to pass as part of the next agreement’s middle path. The history of the WIM is essentially one of initial foot-dragging on the part of developed countries, which eventually acquiesces to the stronger moral case made by vulnerable countries. This acquiescence was nowhere to be found on the subject of liability and compensation. Long one of the most controversial issues surrounding L&D, this issue was seemingly permanently settled by Art. 52 of the decision text, which reads: “Agrees that Article 8 of the Agreement does not involve or provide a basis for any liability or compensation.” Developed countries had insisted on the explicit exclusion of linking loss and damage to liability and compensation, in return for anchoring L&D into the agreement. The bespoke reluctance of developed countries to embrace L&D, based on their rejection of liability and compensation, was described as “creating a bogeyman that does not exist”, given the fact that developing countries had removed any reference to those principles from their submitted text prior to the beginning of the Paris climate negotiations. Some took the inclusion of this clause as a failure for vulnerable countries, betraying their legal rights to compensation for the sake of a hollow compromise. The question yet to be resolved is whether or not any legal rights do in fact exist. The basis for any claims of L&D compensation would have been grounded in the principle that states should be held responsible for any violation of an international obligation. Therefore, the first step is to determine whether or not cutting GHG emissions should be considered such an obligation on high-emitting states, the violation of which would function as a trigger for liability under standard principles of customary international law, or the text of any international treaties. It has been well established by science that 63 percent of global GHG emissions from 1800 to 2005 have been contributed over the years by just seven of the top emitting countries: the US, China, Russia, Brazil, India, Germany and the United Kingdom, and 82 percent of GHG emissions are the responsibility of the top twenty emitters. Claims of compensation for climate change damages would be based on acknowledging the historical responsibility of such states for significantly contributing to the causes of climate change. Specific principles of international law that have been cited to support these claims include the no-harm rule and the polluter-pays principle. Under the no-harm rule, considered the main norm under customary international law that is applicable to climate change, each State is obligated to prevent, reduce and control the risk of environmental harm to other states. In order to be held liable, two conditions must be met: that the offending state has inflicted a serious amount of harm on the injured state, and that the offending state has through its actions failed to adhere to a required standard of care through negligence. States may be held negligent for failing to act upon their knowledge of the harm caused by climate change, amid growing consensus in the scientific community surrounding its anthropogenic causes. However, the no-harm rule also requires balancing the offending state’s technical and economic capabilities against the damage inflicted on the injured state. Determining this appropriate balance is where subjectivity becomes involved, since it weighs the territorial sovereignty of one state against the territorial integrity of another, making application of the no-harm rule controversial. It is therefore unlikely that the no-harm rule would lead to any conclusive findings of liability for which emitting states would be obliged to pay compensation. The polluter-pays principle mandates that polluters should bear the costs of compensating for the damage they cause to the environment and/or to human health, therefore obliging polluters to account for the externality of the pollution they cause. This would provide a convenient basis for those seeking compensation for L&D damage from historical emitters of GHGs (“polluters”). However, the main problem with attempting to use this principle in the context of climate change is the simple fact that, in the normative context, “polluters are discrete entities, their legal negligence is well-documented, and losses and damages can be clearly attributed to wrongdoing.” This is not the case for climate change; the complex interconnectedness between GHG emissions and industrialization in practically every sector and nation in the world renders a clear-cut accounting of responsibility practically impossible. In the global commons, no one ‘herdsman’ can be held completely responsible, and therein lies the tragedy. 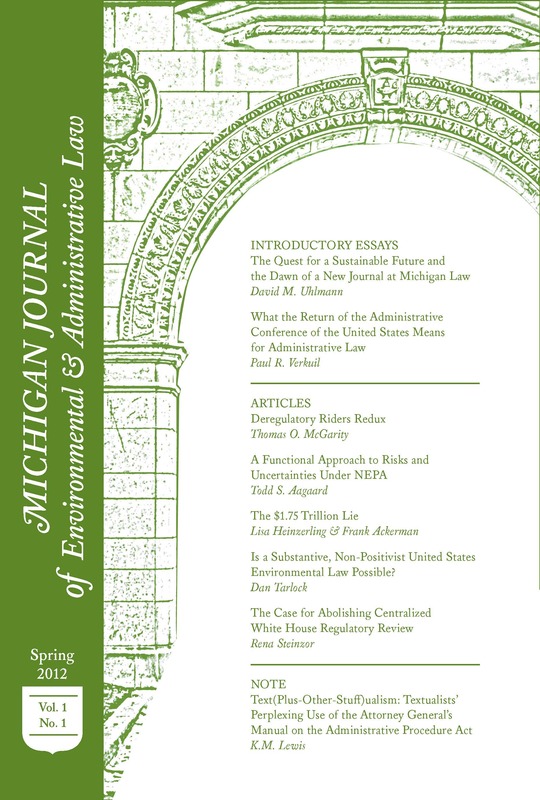 In the end, although the aforementioned principles are based on established theories of customary international law, the fact that international interstate climate change litigation remains hitherto unexplored territory leaves the outcome of any violations of such principles ultimately uncertain, yet unlikely to result in liability. When it comes to obligations established by international treaties and agreements, Principle 13 of the Rio Principles established during the first Earth Summit in 1992 reads that “states shall co-operate in an expeditious and more determined manner to develop further international law regarding liability and compensation for adverse effects of environmental damage caused by activities within their jurisdiction or control to areas beyond their jurisdiction.” However, no legal action has been based on this principle, whose explicit meaning does not seem to establish a distinct legal obligation. Attempts to establish liability based on UNFCCC Art. 4, which places climate change-related commitments on different countries, would also probably fail to provide a concrete basis for setting obligations that would bring about compensation claims. This is due to the vagueness of the requirements placed on countries to “mitigate climate change” under Art. 4(1). Although Art 4(2) is more precise, it applies only to Annex 1 countries, leaving out major emitters such as China and India. This imbalance between the obligations placed on countries was a drawback of the Kyoto Protocol that minimized its effect, and would not constitute a viable basis for liability. Beyond the legal difficulties, there are further drawbacks regarding the realistic outcomes of such attempts: the problem of disaster attribution, uncertainty regarding the appropriate form and procedure for issuing such compensation, and—most of all—the sheer political unfeasibility of such actions, due to the lack of an international sovereign. First, developed countries rejecting liability often cite the fact that scientists cannot yet conclusively attribute certain events or L&D to climate change, given the high uncertainty associated with the contested accuracy of climate models and mechanisms currently used, and the lack of good traceability measures. Attributing specific weather events to climate change is already challenging, due to the disproportionate relationship between the intensity of hazards and impacts of disasters. Connecting the impact and damage that result from such events is exponentially more complicated, because of the complexity of the interactions involved. Producing statistically significant trends is also practically impossible, given the scarcity of available data on historical weather-related disasters. Second, procedural and technical issues surrounding the likely form of climate change compensation also present a challenge to any injured countries. Reparations are typically made up of an apology, compensation and a guarantee of non-repetition. Putting aside the fact that an apology would be politically unpalatable for the majority of high-emitting countries, questions remain regarding how the compensation should be calculated, and what form it would take. Additionally, which court would have the appropriate jurisdiction? For the foreseeable future, these vital questions will remain unanswered. Because even if, theoretically, countries could be found liable for their emissions of GHGs under international law, and the issues of attribution and calculating compensation could be solved, and an appropriate venue could be selected, and a judgment was finally issued, enforcement remains elusive. There is a distinct probability that after that entire process, any countries found liable could simply ignore any outcome. Countries would be highly wary of allowing the Pandora’s box of liability to be opened. From colonialism to slavery, considering historic responsibility for damages wrought throughout the centuries might bring about an untold number of claims, and an enormous amount of damages, that would never be politically acceptable or economically feasible to pay. Therefore, due to the lack of an international sovereign to ensure enforcement of such a judgment, countries could never be held truly accountable. No matter the underlying principles involved, to claim otherwise simply ignores the realities of imbalanced political power. Powerful, industrialized developed countries that are historically responsible for the vast majority of emissions prove as much by their assertions that demands for compensation are of mere moral character, and have no place in the negotiations. They emphasize that L&D should focus on building capacity to deal with risk, and otherwise addressing the negative effects of climate change in a non-adversarial way. Regarding the legal outcome of Art. 52 of the Paris Agreement’s decision text, it should be noted that Art. 52 does not provide a completely conclusive justification for banning all future liability/compensation attempts by vulnerable countries. The closest equivalent to this clause is its opposite, stating the lack of exclusion of their rights for holding states responsible for climate change, submitted by four small island states, Fiji, Kiribati, Nauru, and Tuvalu upon signing the UNFCCC: “Understanding that signature of the convention shall in no way constitute a renunciation of any rights under international law concerning state responsibility for the adverse effects of climate change and that no provisions in the convention can be interpreted as derogating from the principles of general international law.” Since there have been no meaningful precedents of action taken under these clauses, their effectiveness remains questionable. Also significant is Art. 52’s location in the decision text,a section of the Paris deal that is not legally binding. This brings about considerable ambiguity in terms of whether the clause shields conceivably culpable states from the long-term effects of their actions. One somewhat convoluted argument is that by mentioning liability and compensation at all, high-emitting countries have implicitly accepted responsibility for taking action to avoid the most disastrous outcomes of climate change, opening the door for claims in the future. Should worst come to worst and the displacement of millions is in the balance, affected countries might “take it to an international forum, and the gloves come off”. This outlook acknowledges the political reality that state-versus-state cases were never meant to come about in the short term. Any future litigation would likely only be the result of a last-ditch measure of desperation by countries facing imminent obliteration, such as islands disappearing beneath rising seas. Overall, whether or not the Paris agreement truly excluded liability and compensation as a possible option for developing countries to pursue, it does not appear to be a feasible option in the foreseeable future to obtain the help they need. One of the most important factors to consider when discussing effective ways of addressing L&D is that much of what constitutes L&D simply cannot be addressed holistically by merely demanding money to throw at the problem, and so liability and compensation would not fully address the issue. A more acceptable and, arguably, more effective multilateral basis for concretely addressing L&D is through a framework of solidarity and collective responsibility. Developed countries could provide support through both funding and non-monetary assistance with coping capacity, under the WIM’s mandate. One such example might be providing long-term loans at low interest rates to developing countries to advance GHG-friendly development, as recently suggested by an Indian official. Whether developed countries will actually follow through on their promises to provide such support remains to be seen. Apart from the possibility of interstate legal action, pursuing L&D relief through liability is still a very real option. On a case-by-case basis, involving entities whose culpability is more readily established than the vast, radical uncertainty surrounding sovereign countries’ liability to one another, such pursuits have gained considerable momentum over the past several years. This applies both nationally, such as in cases of individual citizen suits against governments to bring about concrete action on climate change, and globally, such as pursuing corporate liability. Examples of the first instance include the Urgenda case in the Netherlands. A citizen’s platform successfully brought a claim against the Dutch government for failing to discharge its duty of care to protect its people from the effects of climate change. The judge issued a ruling that mandated bringing emissions reductions of at least 25 percent below current rates. Another example is the Leghari case, where a farmer brought a case against the government of Pakistan for failing to implement its climate change strategy, resulting in the court ordering the establishment of a new climate change commission. More citizen lawsuits have been filed in quick succession based on the success witnessed in these cases, including in Belgium, Australia, and the state of Washington in the US. A number of cases are currently being litigated that question the liability of corporations, arguably inspired by the 1990s crackdown on tobacco companies for damages to public health and welfare. Greenpeace Southeast Asia is currently preparing a suit to be brought in front of the Philippine Commission for Human Rights, against a number of high-profile fossil fuel producing corporations that profit from climate change-inducing energy, such as Gazprom, Glencore Xstrata and Exxon Mobil. Another case involves a Peruvian farmer suing German energy giant RWE, requesting it to pay 0.47 percent of the estimated project cost to protect a valley threatened by a melting glacier, based on proportional liability for RWE’s 0.47 percent share of world emissions between 1751-2010. Another option would be to follow the example provided by the International Oil Pollution Compensation Fund, founded under the 1969 International Convention on Civil Liability for Oil Pollution Damage. The Fund provides relief to parties who have suffered pollution damages from oil spills, and who then claim compensation. These funds are financed through a fee levied on entities that purchase more than a certain amount of crude oil in a year. Thus, to obtain the funds needed to address L&D, a similar convention could be enacted to levy a fee on polluters that would be funneled into an L&D fund that would provide relief for countries or parties suffering from L&D. This latter solution would circumvent some of the challenges involved in the calculation of an appropriate amount of L&D compensation in the case of corporate liability. Both cases mentioned do not provide concrete amounts of compensation; the RWE case asks for a largely symbolic amount based on proportional liability that would provide for only a fraction of a percentage of what is needed. Civil liability cases can provide for only a limited amount of funds, and it is clear that the need for funds that are required in order to effectively address L&D is only going to increase. Therefore, measures such as the IOPCF seem to provide a useful blueprint on holding corporations monetarily accountable for negative outcomes resulting from their core businesses. This paper attempted to sketch a picture of the way that the recent Paris negotiations addressed the issue of L&D; its definition, the role of the WIM, liability and compensation, and alternative options, all through the lens of how a middle path between developed and developing countries emerged in search of common ground to facilitate the eventual agreement. Over the years, the failures that have manifested time and time again in climate negotiations have been chalked up to the seemingly impossible rift that has opened up between both blocs. From Kyoto to Copenhagen, this insurmountable hurdle could not be cleared, and it led to years of stagnation that only resulted in exacerbating the problem of climate change for everyone involved. While Paris was by no means an entirely balanced agreement, the method in which the issue of L&D was addressed provided a blueprint for how both blocs must push forward, in a spirit of collegial cooperation, not mutual sabotage. With untold numbers of lives hanging in the balance, they were able to put together an agreement that exemplified the necessary compromise. The middle path was simply the best option for both, which was why it materialized. Continuing on this middle path will be necessary in order to avoid a tragic outcome for the ultimate commons. * Graduate Editor of the NYU Environmental Law Journal. Expected L.L.M. in Environment & Energy Law, 2016. Kakakhel, Kashmala (2012) ‘Loss and Damage – From Defining to Understanding to Action’. Climate & Knowledge Development Network. In Decision 2/CP.19 (2013), the Parties acknowledged that “loss and damage associated with the adverse effects of climate change includes, and in some cases involves more than, that which can be reduced by adaptation”. Schäfer, L., & Kreft, S. (2014). Loss and Damage: Roadmap to Relevance for the Warsaw International Mechanism. Germanwatch (March 2014), at, 5. World Bank (2006) ‘Overcoming drought : adaptation strategies for Andhra Pradesh, India.’ Directions In Development. Environment and Sustainable Development, World Bank. Munich Climate Insurance Initiative (2012) ‘Insurance solutions in the context of climate change-related loss and damage’. SBI Work Program on Loss and Damage. Democracy Now. ‘Loss & Damage: U.S. Stymies Push for Compensation for Climate Devastation at U.N. Climate Summit’. (2015) Democracy Now. Stabinsky, D. (2012) ‘Tackling the Limits to Adaptation: An International Framework to Address ‘Loss And Damage’ from Climate Change Impacts’. ActionAid Int’l, CARE Int’l and WWF Int’l. Faure, M. G., & Nollkaemper, A. (2007). ‘International liability as an instrument to prevent and compensate for climate change.’ A Stan. Envtl. LJ, 26, 123. Shaw, M. N. (2003). International Law. Cambridge, UK; New York, Cambridge University Press. Matthews, H Damon, Tanya L Graham, Serge Keverian, Cassandra Lamontagne, Donny Seto and Trevor J Smith (2014) ‘National contributions to observed global warming’, Environmental Research Letters. Tol, R. S. J. and R. Verheyen (2004). “State Responsibility and Compensation for Climate Change Damages – A Legal and Economic Assessment.” Energy Policy 32(9): 1109-1130. Voigt, C. (2008). “State Responsibility for Climate Change Damages.” Nordic Journal of International Law 77: 1 – 22. Mayer, B. (2014). ‘State responsibility and climate change governance: A light through the storm.’ Chinese Journal of International Law 13: 1-40. Khan, M. R. (2015). Polluter-Pays-Principle: The Cardinal Instrument for Addressing Climate Change. Laws, 4(3), 638-653. Faure, Michael, and David Grimeaud. “Financial assurance issues of environmental liability.” In Deterrence, Insurability and Compensation in Environmental Liability. Edited by Michael Faure. London: Springer, 2003, pp. 194–206. Wrathall, D., Oliver-Smith, A., Sakdapolrak, P., Gencer, E., Fekete, A., & Reyes, M. L. (2013). ‘Conceptual and operational problems for loss and damage.’ Population Environmental Research. UNFCCC (1995) Framework Convention on Climate Change. http://unfccc.int/resource/docs/cop1/07a01.pdf . UNFCCC (2014) Kyoto Protocol. http://unfccc.int/kyoto_protocol/items/2830.php . Hulme M, O’Neill SJ, Dessai S (2011) Climate Change: Is Weather Event Attribution Necessary for Adaptation Funding? Science 334: 764-765. Mathew, L. M. and Akter, S. (2015) ‘Loss and damage associated with climate change impacts’, in: W.-Y. Chen, J. Seiner, T. Suzuki and M. Lackner (Eds. ), Handbook of Climate Change Mitigation and Adaptation (1st edn. ), Springer, New York. Huggel, C., et al. 2013. Nature Climate Change. Loss and Damage Attribution. Macmillan Publishers, Limited. doi:10.1038/ nclimate1961. Burkett, Maxine (2009) ‘Climate Reparations’, Melbourne Journal of International Law. The question of appropriate jurisdiction is too exhaustive to be dealt with adequately in this paper, but it does present a very real issue. Hoffmaister JP, Talakai M, Damptey P, Barbosa AS. (2014) ‘Warsaw International Mechanism for loss and damage: Moving from polarizing discussions towards addressing the emerging challenges faced by developing countries.’ http://www.lossanddamage.net/4950. Taraska, Gwynne (2015) ‘The Meaning of Loss and Damage in the International Climate Negotiations’, Center for American Progress. Declarations of Kiribati, Fiji, Nauru and Tuvalu upon signature of the UNFCCC, 1771 UNTS 317-318.